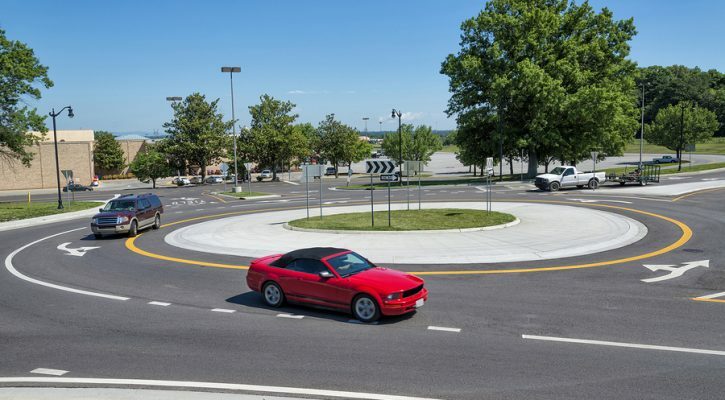 By replacing their signaled intersections with roundabouts , Carmel Indiana, a suburb of Indianapolis, made a bold decision to spend more money up front in order to save a lot more money in the long run. While they were at it, they saved quite a few lives and prevented a lot of injuries. Roundabouts are intersections designed to keep traffic moving more smoothly through intersections without the need for traffic lights. Roundabouts accomplish their mission by forcing traffic to slow down while allowing traffic from all directions to enter the intersection without having to stop. Since 2001, the city has built or replaced more than 100 intersections using roundabouts and there are plans to build even more. They hope to have the work completed by 2018. Even though traffic is forced to slow when entering an intersection, it rarely has to stop. However, if a vehicle does need to stop while yielding to another vehicle, it doesn’t have to stop for long. 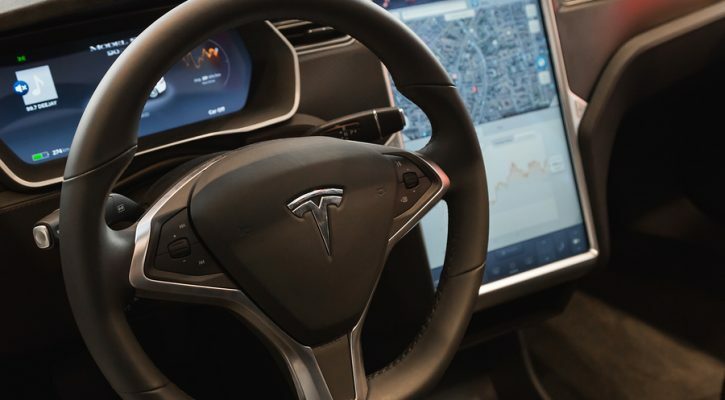 The driver can enter the intersection as soon as traffic is clear without having to wait for a green light. Europe adopted roundabouts long ago and they’re becoming more common every year but the US didn’t adopt the idea until the 1990s and roundabouts here are few and far between. Roundabout construction costs an average of $125,000 less than a signaled intersection. No more money is spent on maintaining or replacing traffic signals. Roundabouts don’t fail to operate when there’s a power outage. Without having to idle while waiting at a light, observations at ten study sites show an average gas savings of 24,000 gallons per year. Less gas used means less pollution. Each replacement intersection can handle a 30 to 50 percent increase in traffic flow. Less time spent in traffic means greater productivity. With all traffic going in the same direction, there are fewer serious crashes. 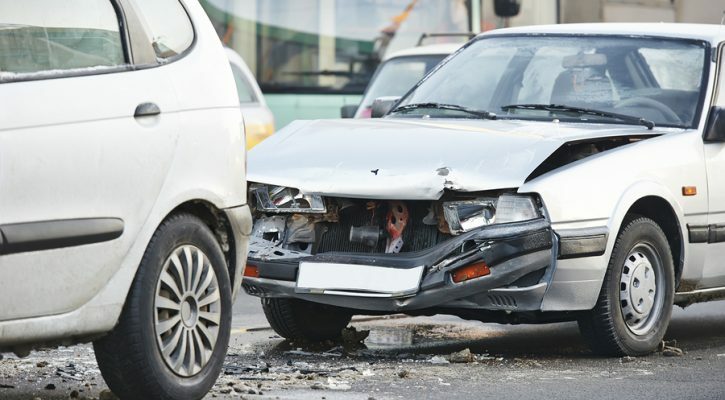 Head-on and high speed right angle collisions are much less likely at roundabouts. Slower speeds give drivers more reaction and decision making time. Roundabouts are safer for pedestrians. Injury crashes were reduced by almost 80% at intersections replaced by roundabouts. Overall, crashes were reduced by 40%. Fewer crashes mean lower costs for first responders. Fewer crashes mean first responders can focus on other needs. To save money and lives, more cities and counties need to consider following Carmel’s lead. The chill is in the air, orange is the dominant color and kids are beginning to think of their plans for Halloween. Before you go out shopping for costumes and buying bags of candy this year, consider a few safety tips and spend a few minutes planning for the night ahead. Identify what type of celebrations will be taking place and where they will be located. Not only will it help determine your plans, it will help you be an aware driver as you travel on the roadways. 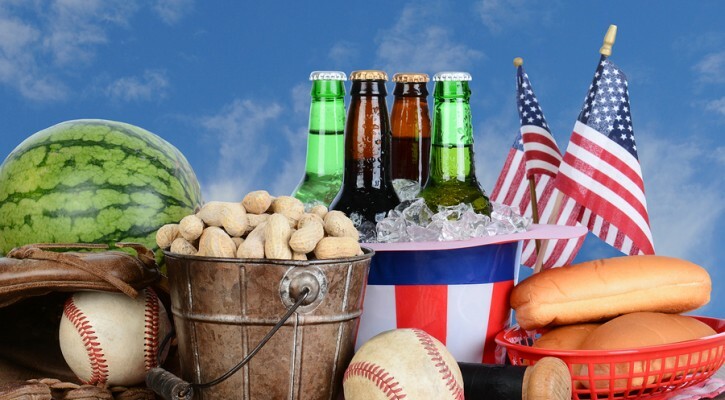 If you’re attending a party, plan for a designated driver or commit to not drinking. Even small amounts of alcohol can impair your judgment and driving. Driving under the influence can kill or cause trauma, be expensive and embarrassing. When costume planning, make sure that all costumes fit appropriately and won’t restrict movement or visibility, either as a pedestrian or behind the wheel. Ensure foot wear is sturdy. Tripping, falling, difficulty steering or braking can be dangerous! Add reflective tape to costumes and replace flash light batteries to ensure you will be visible, whether escorting trick or treaters or attending an event yourself. Make sure that any children you’re with have flashlights, glow stick, bright candy bags, and reflective tape on costumes as well. Clear up any yard obstructions, water hoses, and overgrown vegetation to make it easier to see and maneuver for both pedestrians and vehicles. Know your planned route, to avoid the unexpected. Plan to travel in well lighted areas. If walking, use sidewalks and crosswalks. If driving, avoid areas of heavy pedestrian traffic and park in areas with the greatest visibility. Select alternate routes that will provide the least amount of risk and the most amount of safety. Arrange to give yourself extra time to and from your destination. Know what night of the week Halloween falls on. If Halloween is on a weekend, expect the festivities to begin early in the day and prepare to be a defensive driver. If it is on a weeknight, children will be starting their rounds before the evening rush hour is over. Be especially watchful and, if you can, avoid driving on Halloween altogether. 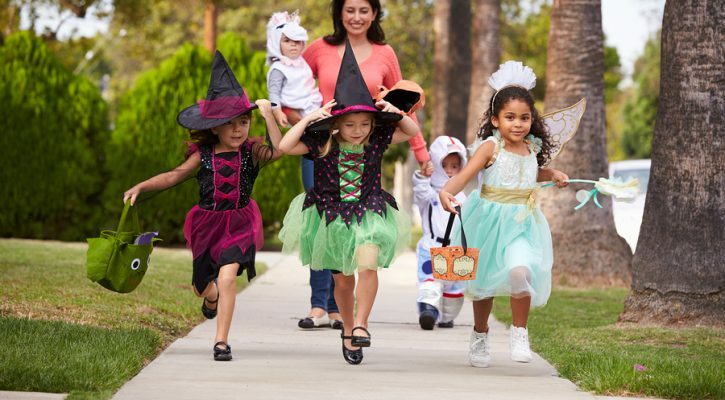 Be alert for kids playing in costumes during the day, darting from house to house or in between parked cars. Pay special attention beginning at 4:30pm for the younger treat seekers. Turn on your head lights to make your vehicle more visible. Dusk is the most dangerous time of day because lights and shadows can fool you so drivers need to be especially vigilant. Reduce distractions. Make sure your cell phone is on silent, your radio volume is low and your passengers are aware to minimize distractions and assist with being alert to the surrounding environment. Be extra cautious as you pull into and leave driveways, parking lots and alleys. Watch for children who may dart out between cars, at roadways, medians and on curves. Be sure to check your blind spots thoroughly and maintain a search and scan of the driving environment every few seconds. Travel well below the posted speed limit. Be extra patient with pedestrians and other vehicles and always be prepared to stop at a given moment. Other drivers may be distracted by the trick or treaters inside their vehicle and may not see you. Avoid passing or going around stopped vehicles. They may have passengers entering and exiting hurriedly and carelessly.